Born in Finland in 1941, Teppo Hauta-aho is both a performer and an extremely prolific composer. He played with the Helsinki Philharmonic from 1965 to 1972 and has been with the Finnish National Opera Orchestra since 1975. He has given numerous recitals and has appeared as soloist with orchestras. 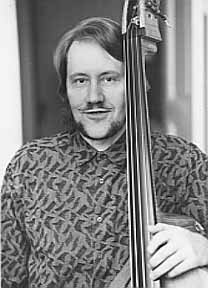 He was also the most "in demand" Jazz bassist in Finland throughout the 1970s. As a composer he has always been his own teacher. His catalog of works includes orchestral and chamber compositions, many works for solo instruments including a large body of works featuring the double bass. About the Rhapsody for Double Bass Solo he says: "I was following the Munich Competition in 1985 because my Kadenza was the obligatory piece. I wanted to write a melodious piece to show the audience that you can play long melodies and express many feelings with the double bass."